All the passengers arriving in the platform were waiting for a train. Pooja Mishra, 45, was sitting near a platform tree engaged in her own thoughts, while her son Priyansh and sister in law kumari, was sitting next to her watching the chaos there. A little distance away Jaiprabha, 32, bundled in a blanket, sleeps peacefully while her brother and his wife discuss their son's schooling. And many more of the people can be seen there, going and coming, helping their friends climb up the platform stairs. The whole people waiting in that platform for that train to Sone were not friends or families, rather they can't even be called strangers. It was Cancer that developed a bonding with them.They all were waiting for the cancer train. "The disease certainly leaves its ghastly remark", thought the old man who was selling biscuits from nearly 5 years in the station. The station master arrived in the platform there telling all of the cancer patients to definitely claim their concessions offered by the railway department, "Free for the patient and 75% for the attendant" he said. They were also discussing the expensive medicines in Madhapur and how they have to go to Soner to get the free medicines. Jaiprabha started telling about her discovery of cancer, she was a leukemia patient. "At first, I thought it was a common flu that took away my strength, but when my husband took me to Ludhiana for the test, I founded out that I had cancer". She continued telling how she had to fight herself to survive this, as her 5-year-old son wants for her in her home. Pooja continued with her story, "when I got the news of my breast cancer, it was like the whole mountain came crashing on me. It took days for me to get out of the shock. It was after that we decided to come to sooner for treatment. It was free here. Every penny counts", she concluded. At least 40 patients from the State arrive at Soner for cancer treatment every day. Arriving at their destination, everyone headed to freshen themselves up. They also started looking out for the auto-drivers calling out the doctor's name. Pooja goes with Rinku, who has been regularly driving her to the doctor's home. Many others were already there. 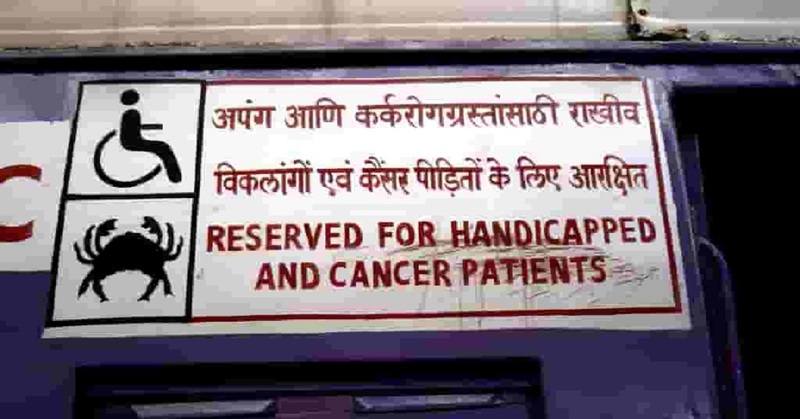 Why That Train Occupied with Cancer Patients? Much usage of Pesticides contaminated the soil, Groundwater, Air and even food also sometimes farmers are using the Pesticides without the proper need. The main purpose of pesticides is to kill and since the action is not confined to any one of the species, they play a major and a very important role in killing or harming organisms like animals and humans. The World Health Organization recently estimated that they are 3 million such cases where pesticide poisoning occurs every year and approximately 220,000 deaths. But out of all this is a very major and specific disease, Cancer. Not only do pesticides has its hazardous effects on human beings, but it also plays an important role in effecting and disturbing the fruits and vegetables grown in an area. Yes, there are certain very harmful effects of pesticides on fruits and vegetables. "In olden days, farmers used to rely on organic and authentic stuffsÂ to yield all types of fruits and vegetables. But as the days are passing by, organic stuffsÂ are replaced by chemical stuffs." Producing high yield in the short duration became the norm for all types of cultivation and this is where the chemicals started to take tolls on both the land and the people's health especially children, who are very much vulnerable to such chemical exposure. Therefore, it is always better to feed your family with fruits and vegetables that are way better organic. Having talked about these issues, do you really think that the pesticides won't be a bother for our environment? Yes, it is absolute! Researchers have found out that there are obviously too many harmful effects of pesticides on the environment. Well, everybody knows that pesticides are designed to be released into the environment. But although it definitely possesses the capability to kill certain pests, the main problem occurs when the pesticides enter other destinations like air, water, sediments and also in our foods rather than entering and killing their own targets. Pesticides are also a threat to our animals, birds and aquatic lives. Now that we know that pesticide leaves it hazardous impacts on birds, animals, foods, fruits, vegetables and essentially human beings causing them a huge amount of cancer-causing virus, now let's see how pesticides can have an effect on cancer? In fact, it has been studied that children whose parents use pesticides are more likely to have brain cancers when compared to those children who live in the area where pesticides are not used. The examples of pesticides which possess these disrupting chemicals are carbonyl, parathion, atrazine, linden and many others. If these chemicals are present in large quantities, they are twice as likely to develop cancer. However, everything has certain precautions. And some of the precautions to be maintained to avoid cancer due to pesticides are to have very much less intake of food having pesticides and to take necessary actions to keep yourself and your children away from pesticide exposure and wearing long shirts and pants, wearing glasses, rubber boots and gloves etc. And yes, one of the main things that can't be avoided to mention is the birth effects due to pesticides. Some years ago, it has been studied that 3 women working in a company where tomatoes are produced using some type of chemicals, gave birth to 3 babies with a lot of birth defects.Thus, the co-incidence when considered and researched exposed the results that it is caused by the connection with pesticides. An evidence has also been find recently that pesticides disturb the endocrine system of the human beings which ultimately disturbs the regulation of hormones, also disturbing the reproductive system and embryonic development. 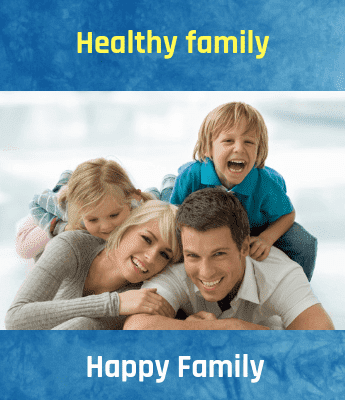 The disturbance in the endocrine system leads to infertility and many more birth defects and many more development defects which also includes defects in offspring, such as hormonal imbalance, impaired brain development, incomplete sexual development. In fact, according to a research conducted by the University of Harvard, it was found out that men who ate a large number of fruits and vegetables with a high amount of pesticides had 49% lower sperm count when compared to those men who consumed fewer pesticide products. Although many of the researchers have said the opposite of this statement, the majority is of the view that the pesticides certainly reduce the sperm count. Therefore, it has been suggested that only fruits and vegetables with low levels of pesticides must be consumed to lead a healthy life. Not only does it affect the male fertility, it is also related to some of the most majority of abortion cases in females. Earlier it was studied that high level of exposure to pesticides always leads to miscarriage and abortion in rats and mice. But only when the research was conducted on women and especially pregnant women, it came out that more they work in the pesticide environment, more will be the chance of abortion and the risk is even higher when they are very much nearer (approximately 1 mile) to the pesticide exposure. The only possible solution to this is to keep away from pesticides as much as possible to avoid this kind of problems and many other birth defects related to it. Another problem related to birth defects caused due to high pesticide exposure is the increasing problem of premature deliveries. Studies show that pesticides increase the problems of premature deliveries to 60%. The figure has increased much by now. Just imagine if the blood of a mother continuously pumps toxins into the body of her child, definitely it's going to affect the child in its womb and after many years too in a negative way. Certainly, to have a healthy baby needs to have a healthy diet and food intake, absolutely free of pesticides. This story is for information purpose only, we changed names.